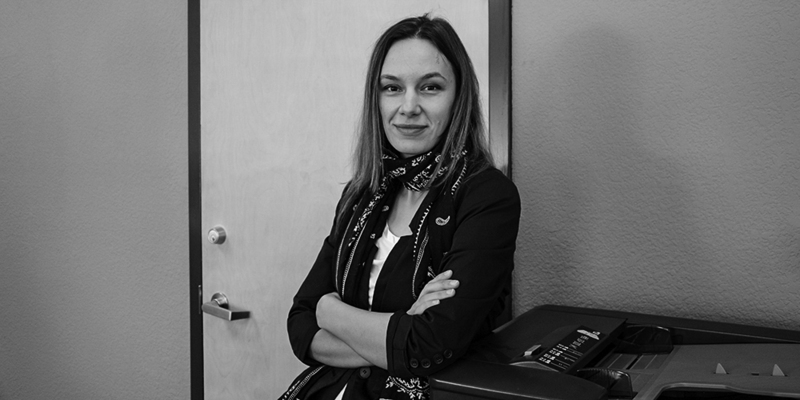 Irina is responsible for developing uniformly high production standards and monitoring projects to ensure the quality and production standards are met for all design and contract documents. She is thoroughly familiar with the entire architectural process and possesses the managerial capability to lead and direct the activities of all the project-team personnel while monitoring technical production on all projects to insure adherence to quality standards at high levels of productivity. Irina handles multiple complex projects of significant magnitude. She is responsible for the coordination of all project efforts, administrative and technical, to assure the most efficient and cost-effective execution of the projects assigned to her portfolio. Irina prepares strategic plans for project success. She serves as the primary liaison with clients to bring projects to completion on schedule, within budget, and with maximum client satisfaction. She actively manages client budgets, schedules, and programs; budget and schedule; project communications and documentation; office administrative tasks; and project team assignments. She estimates fees, determines the scope of work and prepares proposals and contracts on the most complex projects. She provides oversight and monitoring of work of less experienced staff. Irina acts in a team leader capacity. She obtained a Bachelor’s degree in architecture from an accredited program in Siberia. The Architectural Registration Exams have a pass rate of less than 54%. Irina passed all of the Architectural Registration Exams without fail and was granted citizenship, all in one year! We are pleased to offer this exceptional individual's services for your project.